In our busy lives and social media crazy world we often forget the importance of being in a live face-to-face setting with others from the business community. Being active in your industry trade associations can bring with it many benefits. There is a sense of pride and accomplishment in being connected to other people who are active in your line of work, but it can also be easy to talk yourself out of committing to that annual event year after year. To get the most return on your investment you need to be engaged and participate. 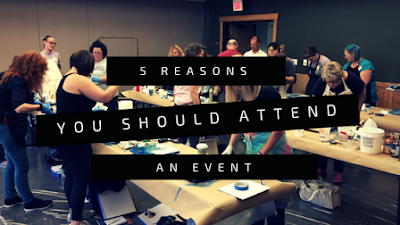 As business owners we are busy, so the thought of taking a few days away from home and work to participate in an event, conference, or trade show can seem like a waste of time and money. However, these live meetings might be just what you need to find new ways of growing your business. Some think that being around potential competitors can be a chance for others to steal their ideas. But not everyone is a competitor, many can be allies and friends. The mindset you choose about participating in events will impact your results. Educational opportunities. No matter how experienced you are at your business, instructors included, everyone can learn. Sometimes we work so much that it can be isolating, and we can miss new ideas and trends that can help grow our business. 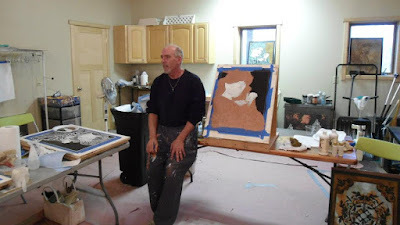 The classes, speakers and activities at an event can expose you to new ways of conducting your business and help you discover new techniques and decorative finishes. Networking with peers. Industry events provide a great opportunity to network. Often people from other parts of the country can become valuable resources for referrals, business ideas and helping with jobs. Avoiding peers for fear of others discovering your competitive advantage can actually limit your own success. Collaboration is the way to approach networking. While there are those whose intentions can be questionable, most people can help each other uncover ideas and spark inspiration when they get to know each other on a personal level. Encounter new vendors and suppliers. Too often people shy away from the trade show/expo at events. Sometimes they fear that they will have to talk to the salesperson, but these industry suppliers are some of the best people for you to get to know if you want to learn more about the current business trends. Discovering innovative products and services for your business is necessary to stay competitive. Invest time with the sponsors at the event and turn them into your friends and allies. Position yourself as an expert. When you are active in your industry, you can develop a reputation as an expert to your clients. Clients feel good about doing business with those that attend industry events and continue their education. Put an event logo in your portfolio, website and blog. You will be missing a valuable opportunity if you remain your communities best kept secret. Have fun. Being in business should be not only rewarding, but fun. All work and no play can make you stagnant. Industry events can add a layer of enjoyment to managing your business growth by mixing a social aspect into your learning. Many events schedule fun activities where the event is hosted. Taking an extra day at the beginning or end of the trip to explore the area is also a great way to maximize your investment in travel. Never underestimate the power of a little fun mixed with some interesting people! Many believe that since they can now access information via the Internet that the days of the live events are gone. The truth is, events are more important than ever. The value in events comes from the face to face connections that occur. Often people cite the serendipitous “hallway conversations” that they have with other attendees as the most valuable parts of attending an event. While these are not on the schedule, or mentioned as learning objectives, when two or more people begin to discuss topics on a deeper and personal level, the success of the event to those involved becomes irreplaceable. There are several annual and semi-annual industry events.